At a time when India is thinking of imposing duty restrictions on Chinese made solar products, the European Union has lifted import duties from Chinese solar panel imports. This brings an end to a five-year-old saga initiated by the German solar cell manufacturer Solarworld, who accused the Chinese of disrupting the European local market. The duties were imposed in 2013 after European panel manufacturers complained that cheap Chinese imports were adversely affecting their domestic manufacturing industry. During the time, Europe also reduced the minimum import prices that Chinese solar panel manufacturers were allowed to sell their products for, in Europe. Now, Brussels and Beijing have decided to increase support for each other as USA’s protectionist policies as part of his “America First” policy, increases. 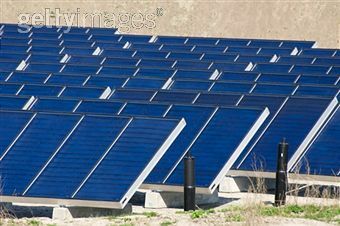 The commission also said that it has further adjusted the prices to align with global solar prices. It is definitely a good news for the Chinese solar companies as their home country faces a demand decline. Both EnergyTrend and GTM Research have reduced their forecast for solar demand in China by 40%. Moreover, solar energy growth has been slow in Europe since the imposition of anti-dumping duties on Chinese solar imports. Europe witnessed many parties opposing the extension of duties. The face of the European solar industry also changed over time since the duty imposition. The country now focuses on specialized value-added products. In the absence of further requests for extension, the anti-dumping duties on China automatically expired this September. The European solar industry even urged the EU to end import duties on Chinese solar cells and panels after they expire in September 2018. Europe cited that once the import duty restriction from China is lifted, there would be an opportunity for additional 40,000 jobs in Europe. The country’s solar industry will support jobs for nearly 120,000 people now. They are of the view that lifting the anti-dumping measures would boost rooftop solar by up to 30% in a few European countries.